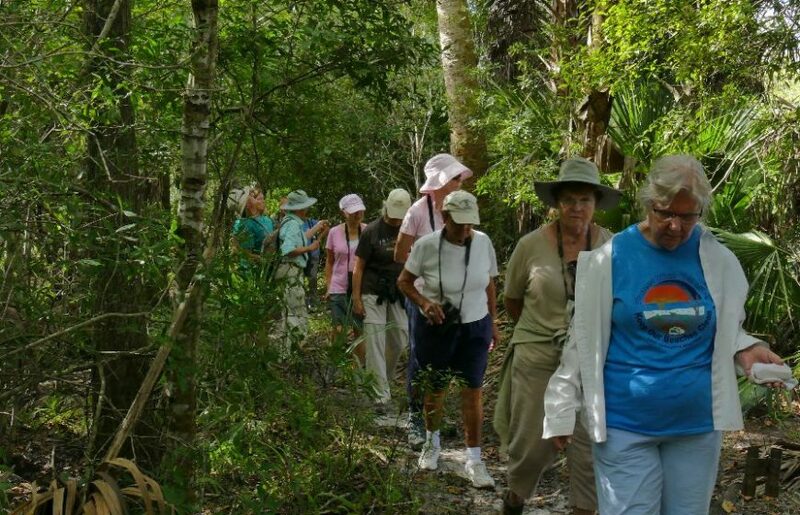 Peace River Audubon’s first walkabout of the 2018-2019 season was held at Audubon Pennington Nature Park in Port Charlotte on Tuesday morning, October 2, 2018. For half of the participants, this was their first visit to this park. 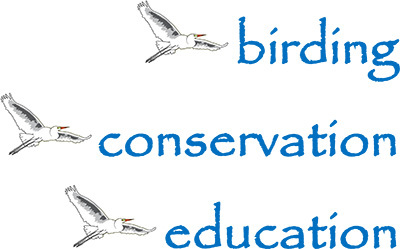 The others, members of Peace River Audubon, assisted those who indicated that they were novice birders. Binoculars and bird guides were loaned to those needing these important birding aides. Before hitting the trails, PRAS member, Larry Behrens described some of the improvements to this park made during the previous year. The county upgraded the handicapped parking space and constructed an asphalt path that leads to the interior of the park. Samuel Heavener, of local Boy Scout Troop 13, earned his Eagle Scout rank here by renovating the four flower beds in the parking lot and establishing a butterfly garden just inside the entrance to the park. Early in the walk, several different species of birds were spotted in some of the younger trees near the butterfly garden. Sightings included a Blue-gray Gnatcatcher, Parula Warbler, Blue Jay, Cardinal, Brown Thrasher, and Mocking Bird. Photographing these birds proved challenging as they quickly moved from branch-to-branch. Earlier in the morning, a Red-shouldered Hawk was heard, then seen, on the top of the Norfolk Pine off to one side of the parking lot. Although there were very few bird sightings within the park, the participants were treated to an impressive display of trees that make up the park’s three main habitats: oak hammock, pine flatwoods, and cypress swamp. The leaves of some smaller red maples and winged sumacs were showing their fall colors. Participants were also able to see the work that the air potato beetles have done on the leaves of the invasive air potato vines. Their feeding activities have resulted in very few, if any, bulbils (tubers) being produced.